Traveling won’t be complete without trying the food of the locals. And I have tried dishes like the sticky rice and insect delicacies in Thailand to the flavorful rendang in Indonesia. Food is something I personally look forward to when I travel. So when given a chance to go to some place new, may it be abroad or in the country, I always see to it that I know what I am getting myself into gastronomically. 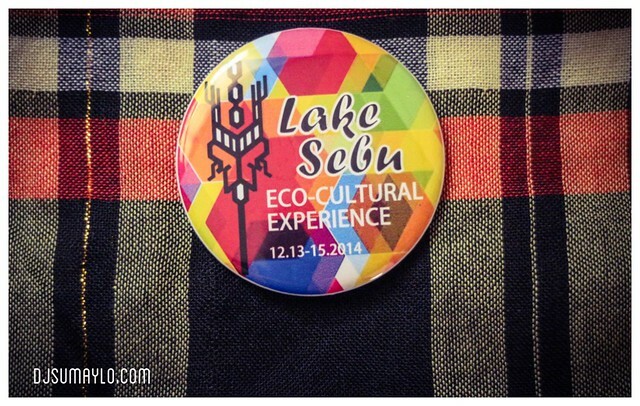 Then, an invitation to visit Lake Sebu in South Cotabato came. I have been to Lake Sebu only once and with that one visit, I knew that tilapia is a staple food. After more than 5 years, I went back to the home of the dreamweavers and try various ways of cooking (and sometimes not cooking) tilapia. A lot has changed to the place since my last visit but something will always remain the same – food is still great in this place. 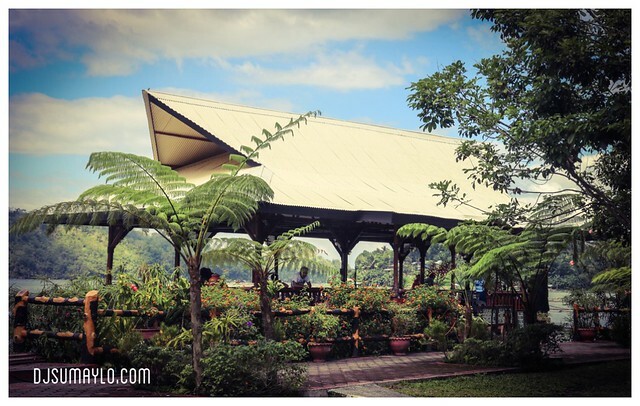 So here are my top four places you should visit when you are in Lake Sebu. 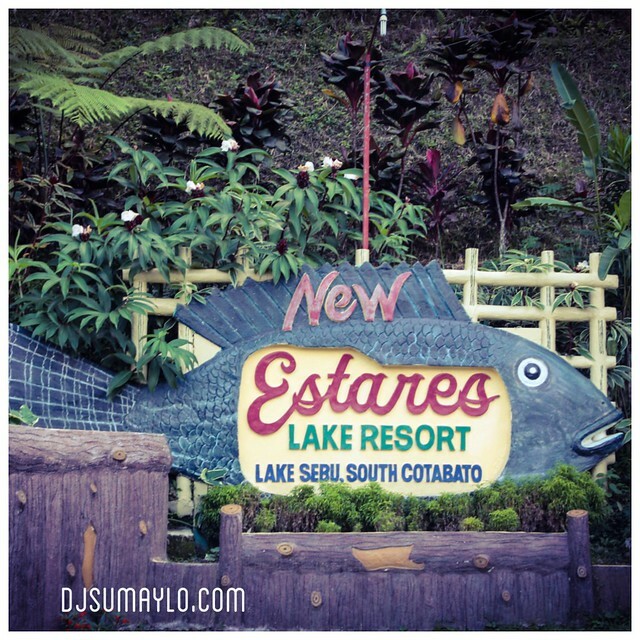 The first time I visited Lake Sebu, I stayed at Estares Lake Resort. It was just a quick visit but I never failed to try their tilapia recipes. Now that I am back, a lot has changed in the resort. According to Ms. Mary Queen Hearty E. Ramping, the Residential Manager of the resort, aside from the new color for their logo and newly painted rooms and other infrastructures (they constructed 4 new cottages), they also added additional rooms including their dorm type occupancy. These amenities welcomed me and my byaheng mindanaw company to the first resort in Lake Sebu established in 1992. After a quick snack of camote (sweet potato) and native coffee which is apparently abundant in the place, we were invited to try their food. As expected, tilapia was the main ingredient. We had crispy tilapia, pinalipad na tilapia, kinilaw (ceviche) na tilapia, and tinolang native chicken (chicken soup) for dinner. Most of the resorts offer crispy tilapia in their menu but it is a little bit different in Estares. They serve it without kropek. Kropek would often cover up for the pieces of crispy tilapia in your order. 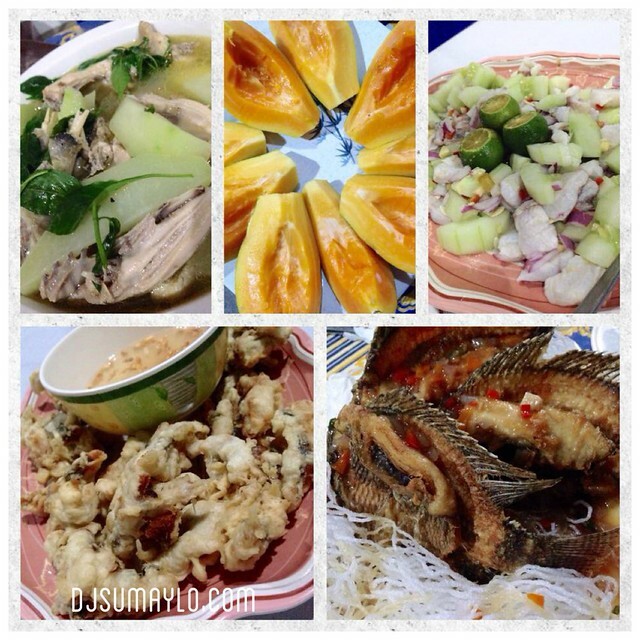 You might be interested to try their pinalipad a tilapia served with crispy sotanghon (rice vermicelli) in sweet and spicy sauce. And for those who love sushi and sashimi, their kinilaw (ceviche) na tilapia is a must try. 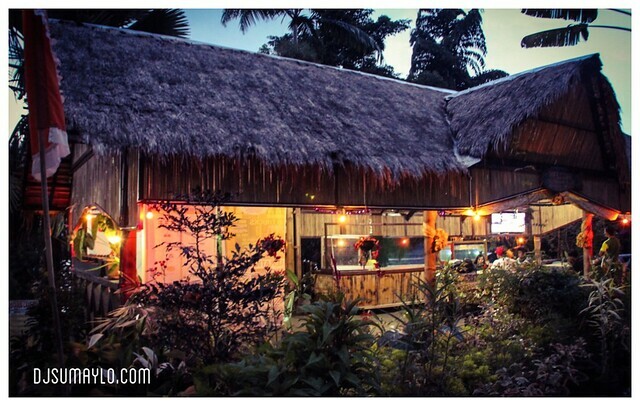 After they served us native coffee, Punta Isla Lake Resort, the third oldest resort in Lake Sebu, wowed us with their array of tilapia recipes. Included in the menu for our dinner were Tilapia Supreme (fried tilapia with creamy and sweet sauce which I fondly called the supremo of the dinner), Tilapia Kesuna, Pinausukang (Steamed) Tilapia (another creamy and sweet recipe), Sinanglay (tilapia wrapped in cabbage and cooked in coconut milk), crispy tilapia (served with kropek but taste really good), native chicken tinola (chicken soup), and balbacua. My personal favorite that night was the tilapia supreme and the crispy tilapia simply because it was really crispy outside but not dry inside. I know how hard it is to cook deep fried fish. After dinner, we witnessed a short cultural presentation. The byaheng mindanaw team and the other guests of Punta Isla surely had a great night. For inquiries and reservations, you may email them at reservations.puntaisla@yahoo.com. You may visit their website http://www.puntaislalakeresort.com for more information. This was probably the most peaceful resort in Lake Sebu I visited. They simply value their client’s peace of mind so they do not accept walk-ins nor have an open restaurant. They only serve their pre-booked guests. 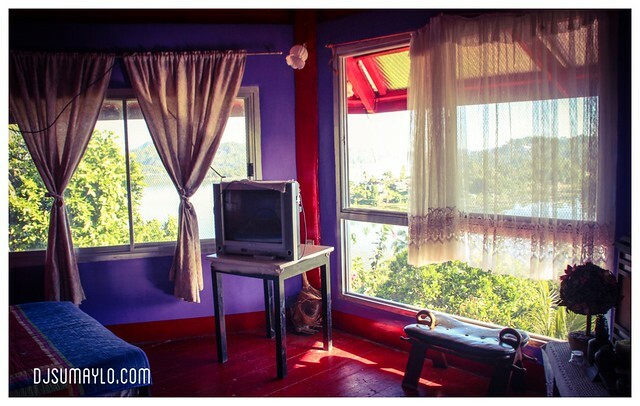 Moreover, Monte Cielo offers rooms-with-a-view. Just check out the view from this room. They also have group (dorm) rooms and the owners of the resort were very friendly and accommodating. They also have hot and cold shower in all their rooms. With Lake Sebu’s chilly morning weather, availability of hot shower was the best news the byaheng mindanaw team received upon arrival at the land of the dreamweavers. Aside from that, this resort also offers food not commercially prepared or mass produced. I totally forgot all the names of the food they served us for lunch but I’m sure the pictures will definitely entice you to try their ways of cooking tilapia. 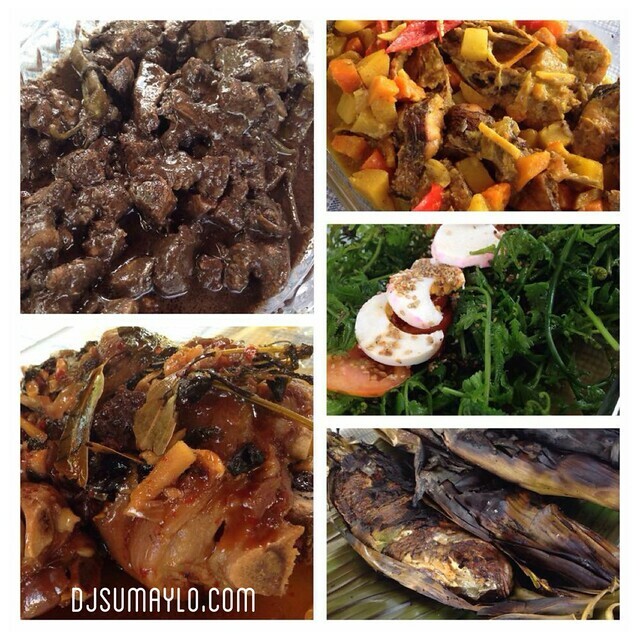 They have inihaw na tilapia, dinuguan, pako salad, and laing as well. Aside from that, their tinolang manok (apparently a staple in all resorts here) was served with a twist. After that hearty meal, we were served native coffee and was ushered to the common area for a little videoke session. 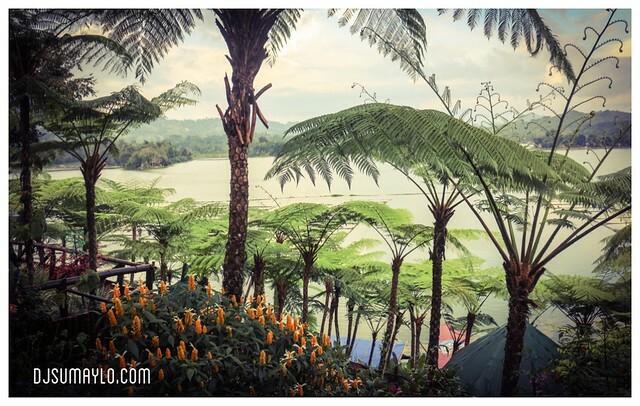 The next time I visit Lake Sebu, I will surely stay here at Monte Cielo Resort – A Mountain Haven. For bookings and inquiries, you may reach them at +639179230957 or email them at williamsy51@yahoo.com. Our last meal in Lake Sebu before we went back to Davao City was at Dolores, the one resort accredited by the Department of Tourism and the General Santos City Tourism Association, Inc. Considered one of the big resorts of Dolores Hotels and Resorts, this home away from home offered its services to a few personalities already including Bb. Pilipinas Universe Shamcey Supsup. 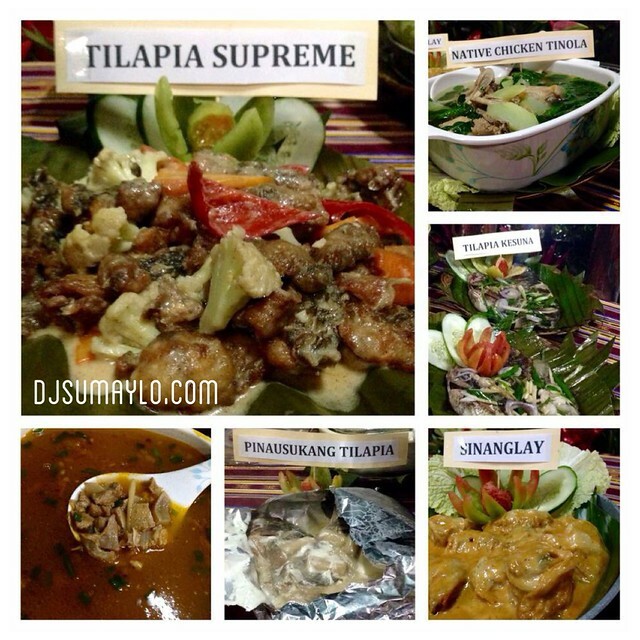 Aside from hot and cold shower, swimming pool, accommodations and lavatories for differently-abled guests, floating restaurant, and ferry boat tours, this resort also offered a wide selection of tilapia recipes. 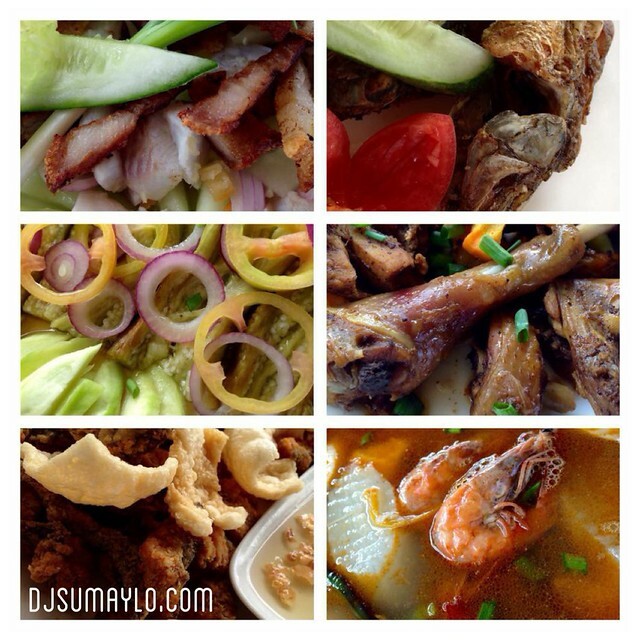 For lunch, they served us sinuglaw (sinugba na baboy ( grilled pork) and kinilaw (ceviche) na tilapia), crispy fried tilapia, grilled talong, adobong native na manok, crispy tilapia strips, and sinigang na hipon (prawns in sour soup). For drinks, they provided us a refreshing buko (coconut) juice. For bookings and reservations, you may contact them at +63832361058 or at +639175214661. You may check their website http://www.doloreshotels.ph for more information. So the next time you plan for a local vacation and wishes to spend less, why not go for an eco-cultural tour at Lake Sebu in South Cotabao. You may contact the local tourism office so they can help you plan your itinerary. 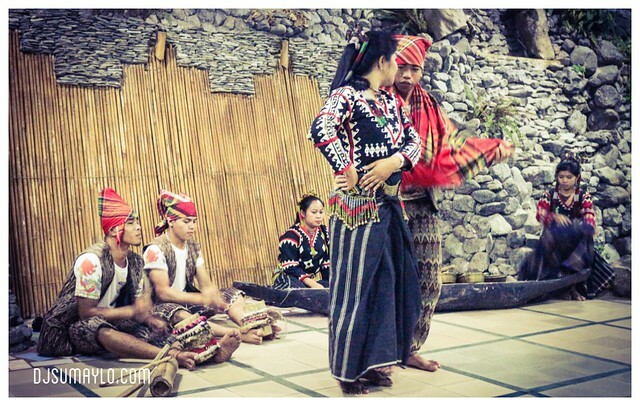 Or you may contact our local tour guide Mr. Roy Ungkal, a T’boli, who is accredited and trained by the Department of Tourism. You can find him on Facebook with that name or call him at +639066931745.